Piso precioso, cómodo, nuevo y muy bien decorado. La zona es MUY BONITA. Hemos pasado unos días estupendos mi familia y yo. Muy bien decorado y cómodo. Sehr schöne Wohnung in einem Mehrfamilienhaus (2.Etage / Aufzug) mit Gemeinschafts - Swimming - Pool. Zum Zentrum sind es 10 min zu Fuß . Zentrale Lage , um die Costa da Morte , A Coruna und die Nordwestküste zu erkunden. Wir haben uns hier sehr wohl gefühlt und unseren Urlaub genossen. l'appartement est tres bien et bien situé pour les visites autour de La Corogne. Un peu plus de vaisselle sreait necessaire. (Text automatically translated) Nearby is Santiago de Compostela and La Coruña. If you like surfing Ferrol has the best beaches to practice. The best alternative to a hotel ideal for vacations with family or friends. Reserve now! (Text automatically translated) Ares is a typical Galician fishing village. It has a beautiful white sand beach suitable for families with children. Very close to the natural park of Las Fragas Eume. Perfect location to discover Galicia. Perfect location for surfing on the beaches of Ferrol hosts the world championship surfing. Santiago de Compostela is located only 50 minutes. In the beautiful village of Ares find very original architectural style and quirky, with wooden galleries and brightly painted houses with one floor. In our Ares vacation rental can enjoy a land dotted with many buildings built in indiana. A noteworthy building due to its uniqueness is the remains of an ancient tower located at the end of the pier, towards Stakes. On the other hand, are of particular relevance Segaño Batteries and Coitelada military and the Convent of Santa Catalina in Montefaro. 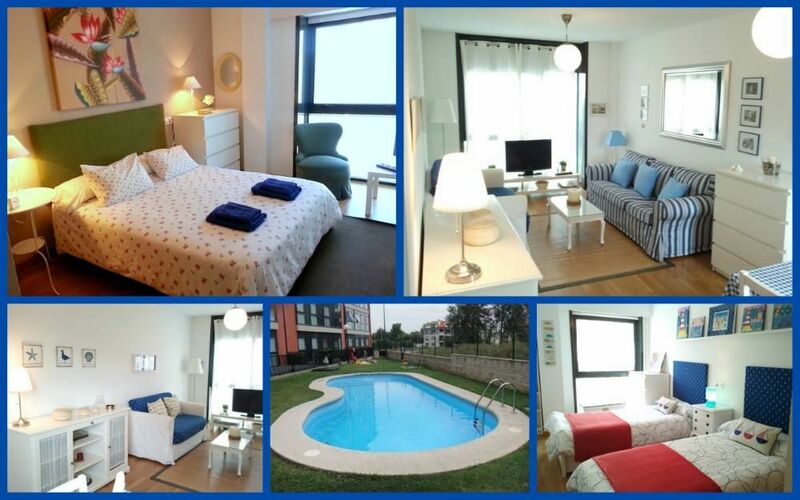 If we want to maximize our stay in apartments in Ares, an excellent option is to visit the town of Ferrol, about eighteen miles away. Ferrol is a major coastal city that has many attractions such as the Castle of San Felipe, the Natural History Museum, and the shrine and sites on the island of Santa Comba.